Comprehensively updated to reflect the current state of the art in this rapidly evolving field, this book is a must-have for neurologists, physiatrists, primary care physicians, mental health professionals, social workers, and other health care providers who treat TBI patients. 2. Essential Concepts in TBI Biomechanics and Neuropathology - LaPlaca Michelle C.
3. Characterization of Traumatic Brain Injury Severity - Lombard Lisa A. 6. Concussion and Mild Traumatic Brain Injury: Definitions, Distinctions, and Diagnostic Criteria - Silverberg Noah D., Lange Rael T., and Iverson Grant L.
7. Mild Traumatic Brain Injury: Initial Medical Evaluation and Management - Haydel Micelle J. 8. The Natural History of Mild Traumatic Brain Injury - Iverson Grant L., Silverberg Noah D., and Lange Rael T.
9. Sport-Related Concussion I: Injury Prevention and Initial Assessment - Montenigro Philip H., Sisniega Daniella C., and Cantu Robert C.
11. Second Impact Syndrome - Goldberg Gary and Robbins William A. 13. Selected Somatic Disorders Associated With Mild Traumatic Brain Injury: Fatigue, Dizziness and Balance Impairment, and Whiplash Injury - Henrie Michael and Elovic Elie P.
14. Cognition in Mild Traumatic Brain Injury: Neuropsychological Assessment - Tsaousides Theodore, Dams-O'Connor Kristen, and Gordon Wayne A. 15. Postconcussion Syndrome: Diagnostic Characteristics and Clinical Manifestations - Bellamkonda Erica, Eapen Blessen C., and Zollman Felise S.
16. Postconcussion Syndrome: Symptom Management - Walker William C. and Kunz Richard D.
17. Confounding Factors in Postconcussive Disorders - Zasler Nathan D.
18. Recognizing Manifestations of Posttraumatic Stress Disorder in Patients With Traumatic Brain Injury - Larson Eric B. 19. Field Management: Prehospital Care - Gaither Joshua B. 20. Emergency Department Management and Initial Trauma Care Considerations - Cantrill Stephen V.
21. Imaging in Moderate to Severe Traumatic Brain Injury - Alexander David N.
22. Neurosurgical Management of Skull Fractures and Intracranial Hemorrhage - Rosenow Joshua M.
23. The Neurointensive Care Unit: Intracranial Pressure and Cerebral Oxygenation - Francis Brandon A. and Maas Matthew B. 25. The Role of Neuroprotective Interventions in Traumatic Brain Injury - Panczykowski David M. and Okonkwo David O. 29. The Role of Specialized Brain Injury Units in the Rehabilitation Process - Schultz Billie and Brown Allen W.
30. Rehabilitation Nursing - Bines Ann S.
32. Occupational Therapy: Activities of Daily Living, Driving, and Community Reintegration - Fleming Jennifer and Dawson Deirdre R.
35. Cognitive Impairment: Characterization and Management - Larson Eric B. 38. Pain Management in Persons With Traumatic Brain Injury - Zasler Nathan D.
41. Sexuality After Traumatic Brain Injury - Sander Angelle M.
42. Assessment of Decision-Making Capacity - Swirsky Eric S.
43. Community Integration - Malec James F.
45. Hydrocephalus - Long David F.
52. Screening for Emotional Distress After Traumatic Brain Injury - Sander Angelle M.
53. Chronic Neuropsychiatric Sequelae I: Mood Disorders - Shahin Hazem and Jorge Ricardo E.
54. Sleep Disturbances - Zollman Felise S. and Larson Eric B. 56. Cumulative Effects of Repeated Mild Traumatic Brain Injury and Chronic Traumatic Encephalopathy - Montenigro Philip H., Sisniega Daniella C., and Cantu Robert C.
57. Posttraumatic Headache - Watanabe Thomas K.
60. Special Considerations in Caring for the Workers’ Compensation Patient - Zollman Felise S.
61. Developing a Life Care Plan - Berens Debra E. and Weed Roger O. 62. Traumatic Brain Injury in a Forensic Context - Sweet Jerry J. and Benson Laura M.
63. Alcohol Misuse and Traumatic Brain Injury - Corrigan John D.
64. Ethical Considerations - Savage Teresa A. 65. Special Considerations for Military Personnel: Unique Aspects of Blast Injury - Jaffee Michael S.
66. Treatment and Rehabilitation Services for Mild to Moderate Traumatic Brain Injury in the Military - Garg Deep S., Georgekutty Jason, and Bowles Amy O. 67. Management of Traumatic Brain Injury in the Older Adult - Eapen Blessen C., Jaramillo Carlos A., and Cifu David X. 68. 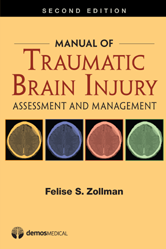 Complementary and Alternative Medicine in Traumatic Brain Injury - Zollman Felise S.